Long Beach State women's basketball closes out the regular season today when it heads to UC Riverside for a 5pm start. I’ve written before that Pine Avenue in DLTB between 4th and 6th Streets should be dubbed Decadence Row—and I stand by that given that Saints & Sinners Bake Shop and Crepe Crafters are set to open soon in the same neighborhood as the can’t-stop-won’t-stop Pie Bar bustin’ out delicious pies while barely keeping up with demand and Romeo Chocolates just having opened up next door for their chocolatier joint. 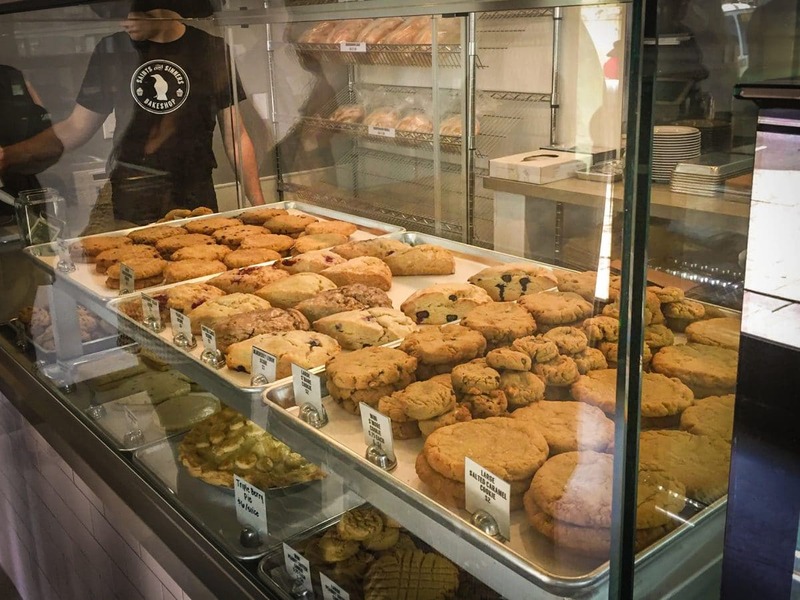 In short, it’s already an area that offers some of Long Beach’s best sweets’n’baked goods. But there’s more—oh, so much more. Saints & Sinners Bakes Shop, the brainchild of Traci Delatorre (which many in Long Beach know as Molly Misdemeanor, one of the fiercest derby chicks out there), is officially open at 6th & Pine after offering the South Bay and Long Beach some of the best shortbread this side of the Mississippi at Crafted in San Pedro and MADE by Millworks in DTLB. A longtime lover of DTLB as well as a former resident—she now perches herself near Long Beach Blvd. and PCH—Delatorre kept her bake shop in DTLB for one simple reason: the community. Working with Sheva Hosseinzadeh of Coldwell Banker Commercial BLAIR WESTMAC after a connection through friend and fellow bakers Dahlia Villegas and Judy Karni of Twice Baked, Delatorre scoured places across the city but it was Pine that caught her eye. Since February, she has slowly fallen in love with the space and, as of a few weeks ago, officially signed a lease and has keys. Working with Handian Construction (the same crew behind neighboring Pie Bar), Delatorre opened shop at 11AM today. Even better? It won’t just be the cookies and shortbread she offered at MADE. For now, however, her main goal is simple: get the shop up to her standards and prepped for opening. Meanwhile, just across the street, Crepe Crafters is set to open shop offering a variety of savory and sweet crepes. Our stomachs have opened their doors—we just need Crepe Crafters to open theirs.